LEGO Harry Potter: Years 5-7 builds upon the magical gameplay, lessons and potion-making skills learned in LEGO Harry Potter: Years 1-4 to equip gamers with the tools necessary to challenge a host of new foes and some familiar ones.The game is action-packed from start to finish, including loads of new lessons, spells, and bonus content for hours of family friendly gaming…. This toy costs approximately £17.99 (for the latest and best prices make sure you check our retailer list for the LEGO Harry Potter 2 Years 5-7 3DS above). 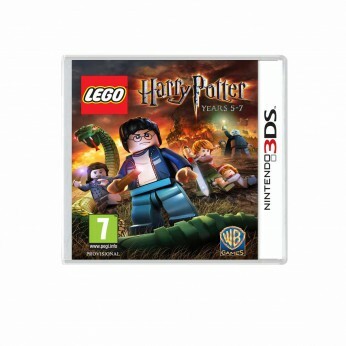 In our review of LEGO Harry Potter 2 Years 5-7 3DS we classed it as being suitable for ages 6 years, 7 years, 8 years but recommend you check the manufacturer specific advice before purchasing.